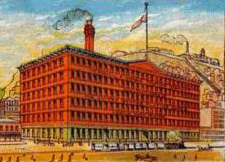 In 1885 the business was renamed as “Russell & Morgan Printing Company”, as seen in the calendar page (right). 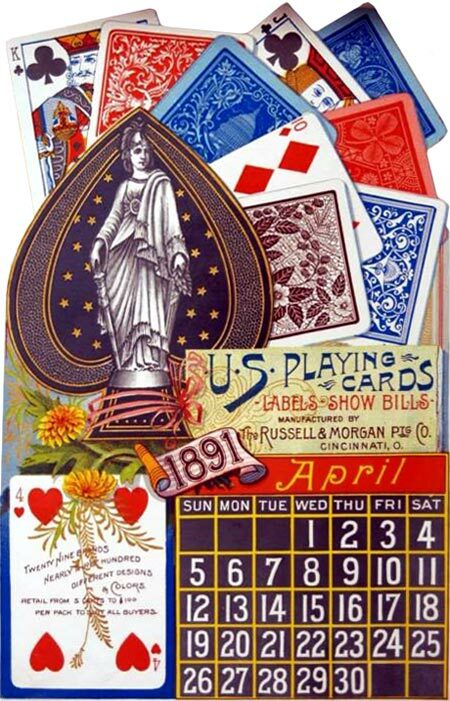 In 1891 the company name was changed yet again to “The United States Printing Co.” and then in 1894 “The United States Playing Card Company” was incorporated to hold all the playing card manufacturing operations. This sequence of events can be followed in the inscriptions on the Aces of Spades in successive editions of their playing cards.